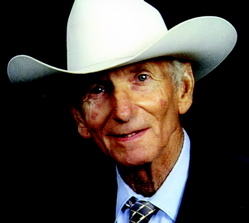 International Horseshoeing Hall Of Fame farrier Bob Walters (Dimmit, Texas) passed away on Jan. 1, 2014. Acquaintances, clients and friends remember Walters as an exceptional man, as well as an exceptional farrier. A working cowboy in the Texas Panhandle, Walters went on to become a self-taught horseshoer, using his exceptional horsemanship skills and powers of observation to develop and improve his skills. Walters was always willing to share his knowledge with other farriers, mentoring many shoers throughout the Southwest.